Remember Staples (s SPLS)? It’s the latest company considering offering 3D printing to customers, after announcing today that it has partnered with 3D Systems (DDD ticker) to test printing stations in two stores. This isn’t Staples’ first venture into 3D printing. Some of its European stores began offering to print items for customers on Mcor printers, which build 3D objects with layers of paper, last September. But the new U.S. centers are meant to be more experiential. Someone who is totally new to 3D printing can walk in and, with the help of staff members, design an object on the spot or print a premade design. 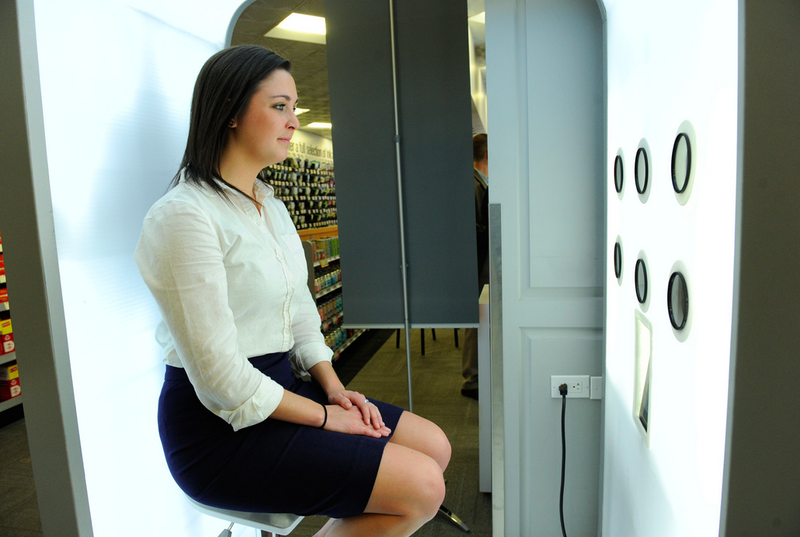 Staples is also offering photo booths where customers can take a 3D picture of themselves and then print it. A 3D photo booth in a Staples store. Photo courtesy of Staples. The service will compete with UPS’s rollout of testing locations last year. While Staples’ 3D Systems printers are desktop, consumer-oriented machines, UPS is offering professional printers from 3D Systems rival Stratasys. As a result, Staples might be more appealing to an individual looking to print something for personal purposes, while UPS is more business and artist oriented. The “Kinkos model” is a potential direction in which 3D printing could move. People might not want to invest in their own desktop 3D printer; instead, they could travel to a central location when they need to print an object. It ruins some of the on-demand benefits of 3D printing (“My spatula broke. I’ll print a new one!”), but still allows people to make highly customized objects without paying hundreds or thousands of dollars for a personal printer. Staples’ plan to have customers come into the store and initiate a print job themselves instead of emailing it in ahead of time is unusual and might be off-putting, as it usually takes half an hour to hours to print a single object. But if it works, there would be a lot of people wandering around Staples stores with time to burn. 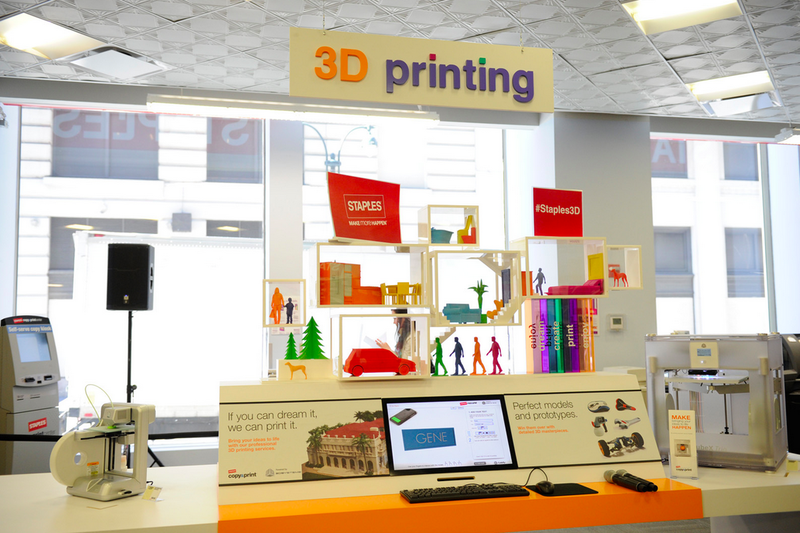 A Staples 3D printing center. Photo courtesy of Staples. Thank you for this news, and your January 06 article regarding Hewlett-Packard as well. I want to learn more!